I forgot to add they had loads in stock on another shelf also. Great deal, sadly no express stores near me. Seems store specific, not national. Three stores, all £7.50. Another one for the geese. Mmmm, be nice to go with the salt on your chips! 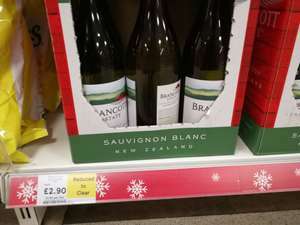 lidl's NZ sav blanc is far better... In fact it's crazy good for 5.50 or whatever it is. Still at £3 this a great deal.